Read about Noah's experience with advising in the Dietrich School. The Dietrich School emphasizes individualized, one-on-one academic advising. Advisors help you to explore academic and career goals, become familiar with University policies and procedures, and connect you with the many resources and opportunities the University has to offer. We look forward to getting to know you and working with you in your initial years here at Pitt. Your advisor is here to help you develop your own personal path to make the most of your college experience. But you also need to be proactive and prepared. Find out what to expect from advising. At least once each semester, you’ll meet with your academic advisor to discuss your academic goals and your progress toward them. With your advisor, you will explore your academic aims and career goals, learn about University policies and procedures, and connect with the many resources and opportunities the University has to offer. Find out how to declare a major (or multiple majors) and a minor, pursue a BPhil, pick up a certificate, or choose a professional program. You’ll be working with your dedicated advisor one-on-one, but we’d like to introduce you to the whole team. We get asked some questions more often than others. If you’re curious about advising, we may have the answer ready for you. 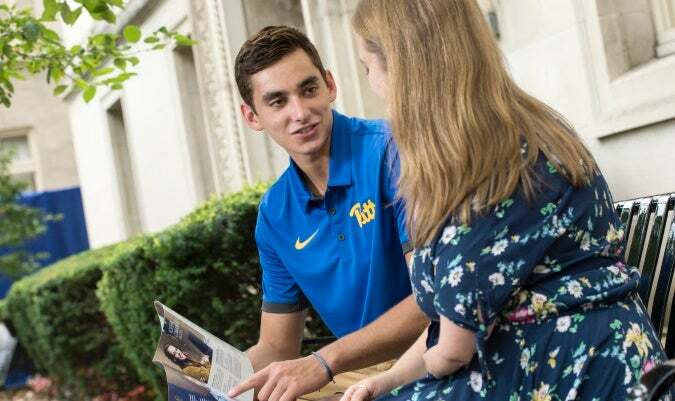 Read the PItt Wire article highlighting the new ways in which Dietrich School advising is engaging students.